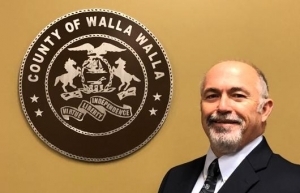 WALLA WALLA, Washington — Greg Tompkins, who was re-appointed to the Walla Walla County Board of Commissioners in January, said a big concern of his right now is the county’s budget. With an $874,000 budget shortfall, Tompkins said he doesn’t know what the county is going to do, but everyone is working to help solve it. He said much of what the county does is mandated by the state and federal governments, which he said many people don’t understand. For instance, Tompkins said when the state passes legislation that says you have to go from two restaurant inspections a year to three inspections per year, you need to either hire more staff or find funds for the extra time needed for the current staff to complete the additional inspections.